PALM COAST, Fla. (CNS) — The U.S. government April 8 deported retired Salvadoran Gen. Carlos Eugenio Vides Casanova, a former director of the Salvadoran national guard, to El Salvador. In early 2014, the U.S. Department of Justice issued a deportation order for Casanova and retired Salvadoran Gen. Jose Guillermo Garcia, the former defense minister, also living in Florida. Officials said at the time deportation proceedings can be a slow process, and Garcia’s deportation order remains under appeal. According to Reuters and other news reports, Casanova was arrested at his home in Palm Coast, which is north of Daytona Beach. He had lived there as a legal resident since 1989. 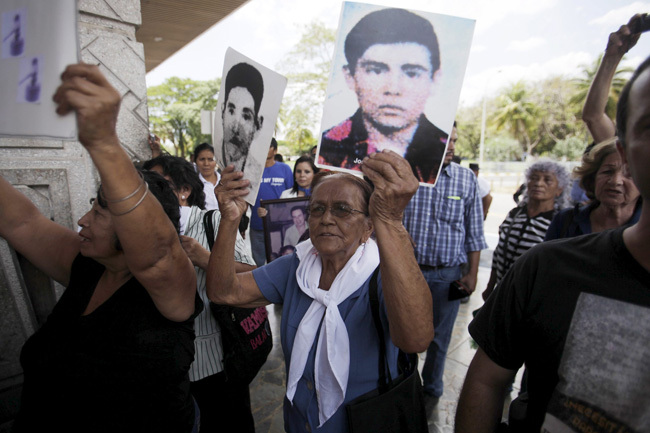 Casanova and Garcia were both accused of human rights abuses during the bloody civil war in El Salvador, which lasted roughly from 1979 to 1992. More than 75,000 Salvadoran civilians, clergy and missionaries were killed during that era, including Archbishop Oscar Romero and four U.S. churchwomen, Maryknoll Sisters Ita Ford and Maura Clarke, Ursuline Sister Dorothy Kazel and lay volunteer Jean Donovan, in 1980. Many civilians left the tiny Central American country and fled for protection to the United States, Europe and Australia, among other places. Others were “disappeared” and have never been found. In 2002, Casanova and Garcia were found guilty in a civil trial for the torture of three Salvadorans, and ordered to pay $54.6 million to the victims. 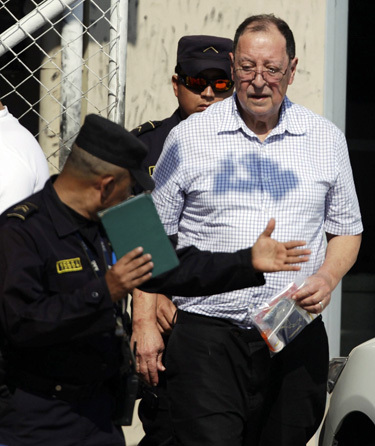 Green was not involved in the deportation proceedings but was a co-lead council that won the monetary award from Garcia and Casanova for the survivors of the Salvadoran civil war who sued them.